end, both over .000050 [0.00127] min. 1 Use short latch versions when mating connectors without strain reliefs are used. 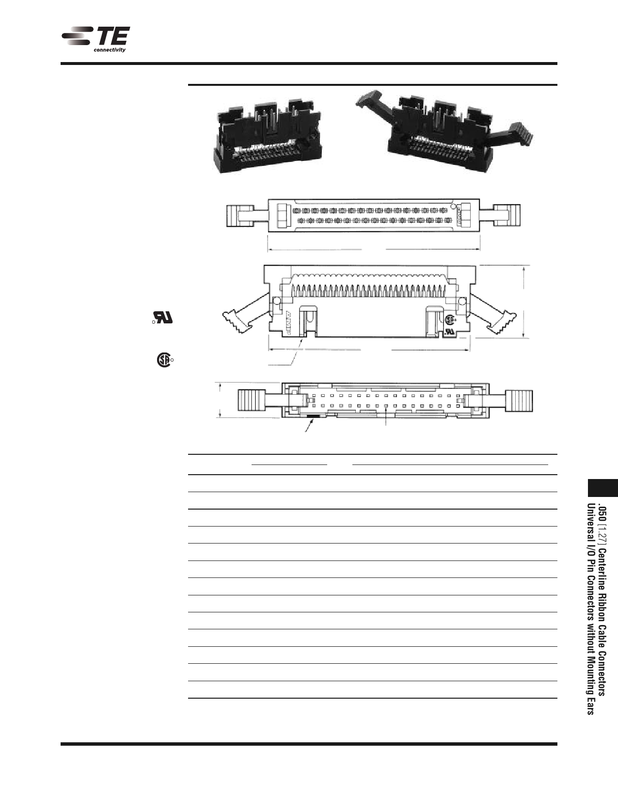 2 Use long latch versions when mating connectors with strain reliefs are used. 3 No slot on end with position No. 1 indicator for 10 and 14-position connectors. 4 No slot for snap-in polarizer on end with position No. 1 indicator for 10 and 14-position connectors.